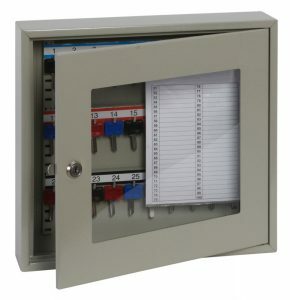 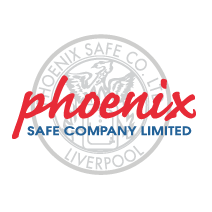 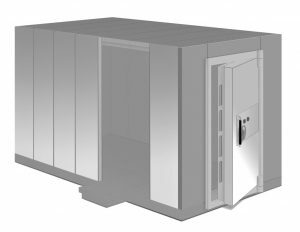 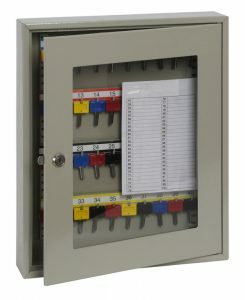 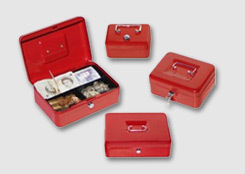 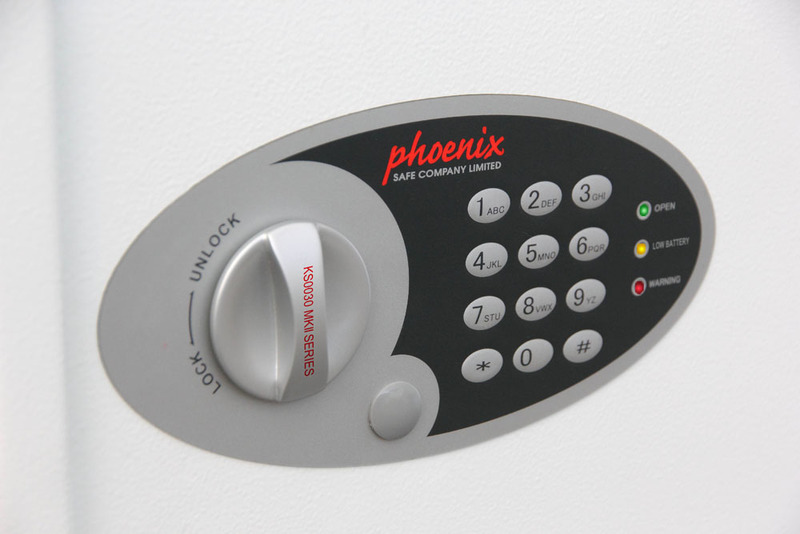 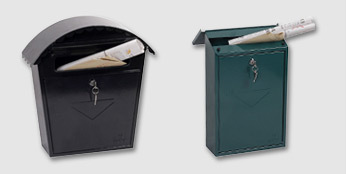 The Phoenix Cygnus series of key deposits safes are available in capacities of 30 - 700 keys and all come with a key deposit facility. 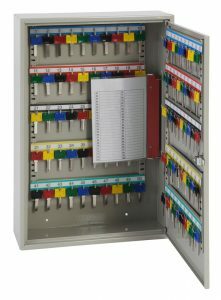 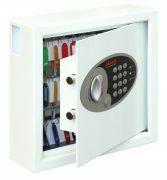 Ideal for home, office, schools, garages, office blocks. 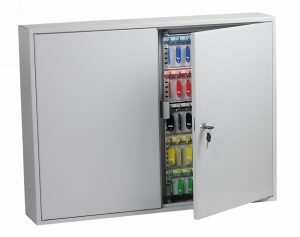 CONSTRUCTION Heavy duty steel construction with concealed hinges and twin live locking bolts for increased security against attack. 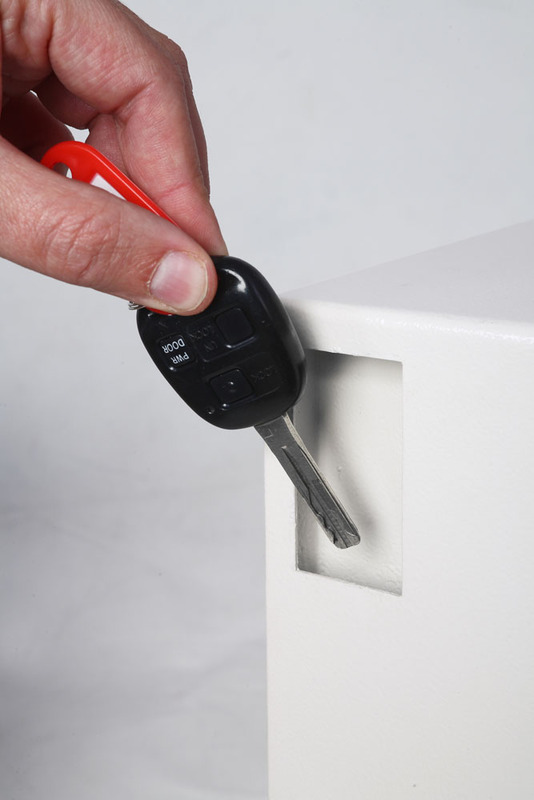 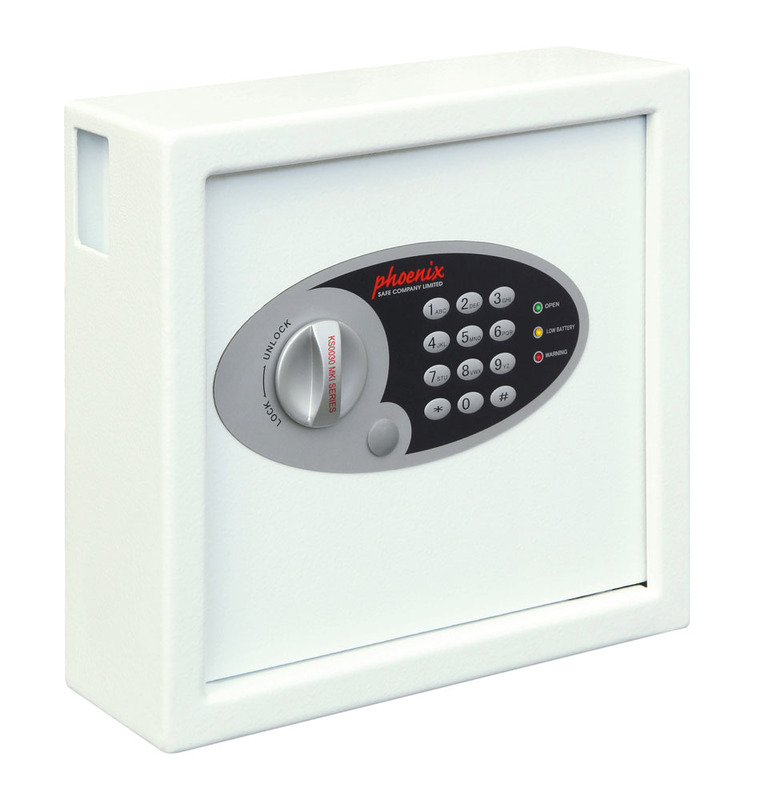 SECURITY: When bolted to a wall these key Safes provide defence against burglaries aimed at stealing car keys, house keys etc. 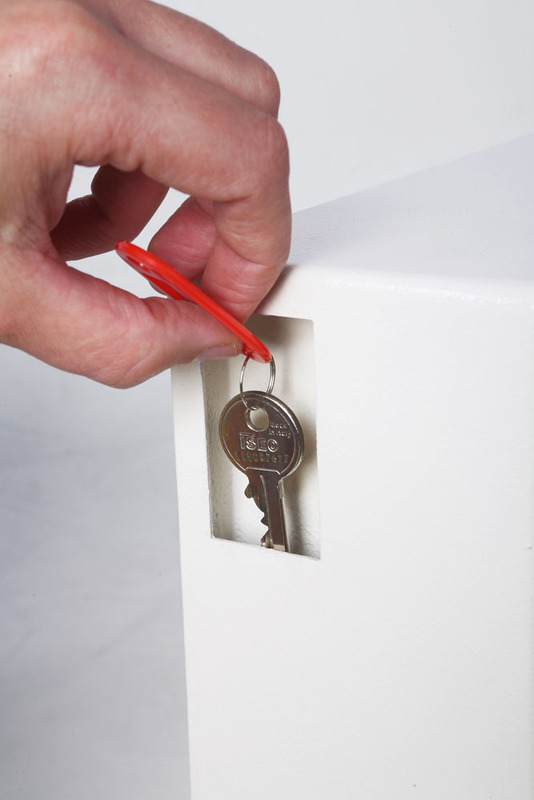 FIXING: Ready prepared for fixing to the wall with bolts supplied. 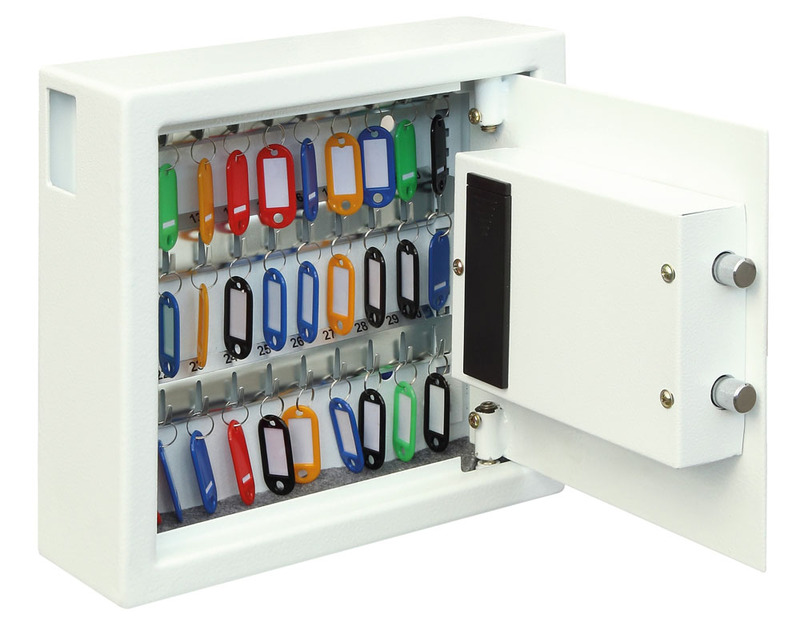 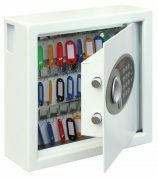 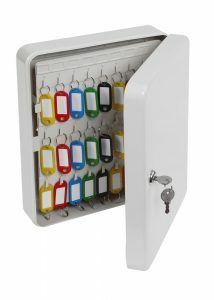 SPECIAL FEATURES: All KS0030 key safes have key a deposit slots, allowing keys to be deposited without the need to open the safe. 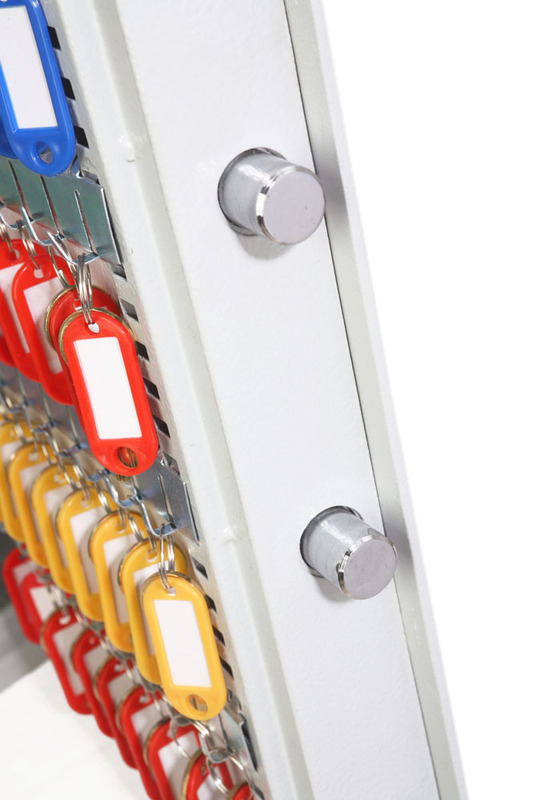 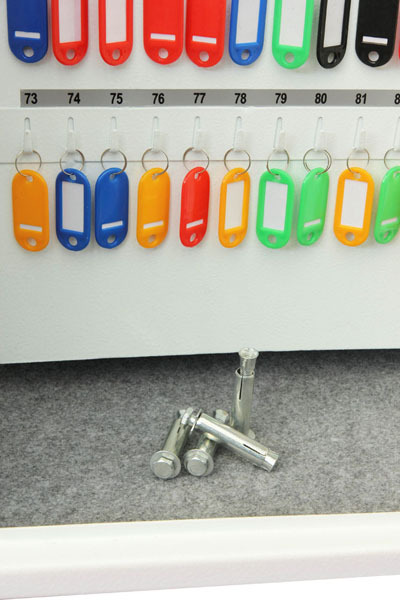 Key Tags: Bag of 100 plastic key tags in multiple colours.